acquisition, inter-generational conflict, and student engagement. Mai Yang Vang. (2013). For whom is “Successful Aging” Relevant? : (Re)defining the Aging Experience through the Voices of Hmong Elders. MA Thesis, University of California, Los Angeles. Through interviews with Hmong elders, the author of this graduate thesis attempts to contest the current theoretical framework of successful aging and articulate how it has been exclusive not only to the diversity of the aging population but also to Hmong elders as it is conceptualized. Utilizing an Asian American Studies framework, the author also discusses culture-specific approaches to successful aging and suggests methods to establish more fluid concepts of aging than those observed in the mainstream gerontology literature. TangJudy Vang. (2013). The Role of Psycho-Sociocultural Factors in Suicide Risk Among Mong/Hmong Youth. PhD Dissertation, Portland State University. This graduate study examines psychological, social, and cultural factors that can affect suicide risk among Mong/Hmong youth between the ages of 18 and 25. The author conducted surveys among 165 Mong/Hmong youth in California. Ger Xiong. (2013). “A Matter of Life and Death”: Biocitizenship and (In)Voluntary Reproductive Sterilization of Hmong Refugee Women in California (Post-1979). MA Thesis, University of California, Los Angeles. This graduate thesis explores how women’s reproductive choices and capacities are regulated through state apparatuses and medical processes in the optimization of life. The author examine the reproductive sterilizations of six Hmong refugee women in California as part of medical procedures and the women's role in the decisionmaking processes involved. Nazneen F. Bahrassa, Mary Joyce D. Juan, and Richard M. Lee. (2013). "Hmong American Sons and Daughters: Exploring Mechanisms of Parent–Child Acculturation Conflicts." Asian American Journal of Psychology, 4(2): 100-108. This article examines gender differences in parent– child acculturation conflicts among Hmong American college students (N =  120). The authors also assessed whether cultural attributions or perceived control explained the relationship between acculturation conflict and psychological distress. Moon S. Chen, Jr, Dao M. Fang, Susan L. Stewart, et al. (2013). "Increasing Hepatitis B Screening for Hmong Adults: Results from a Randomized Controlled Community-Based Study." Cancer Epidemiology Biomarkers and Prevention, 22:782-791. This article discusses an initiative involving researchers and Hmong leaders who collaborated in the design, conduct, and evaluation of a 5-year randomized controlled trial testing a lay health worker (LHW) intervention to promote HBV testing among 260 Hmong adults in California through in-home education and patient navigation. The intervention was intended to address the high rate of liver cancer among Hmong. Dao Moua Fang, Dian L. Baker. (2013). "Barriers and Facilitators of Cervical Cancer Screening among Women of Hmong Origin." Journal of Health Care for the Poor and Underserved, 24, 2: 540-555. This qualitative study assesses barriers and facilitators to cervical cancer screening among women of Hmong origin. Hmong women experience a high rate of cervical cancer incidence. Utilizing a community- based participatory research approach, the authors conducted focus groups (n=44) with Hmong women in California. Lisa Franzen-Castle and Chery Smith. (2013). "Shifts in Hmong Culture: Competing Medical Frameworks." Journal of Immigrant Minority Health. 15:829–835. The purpose of this study was to examine the ways in which language changes, acculturation, and perceptions of modernity impact medicinal practices among younger and older generations of Hmong. Focus groups were conducted with newly immigrated and well established Hmong adults in Minneapolis-St. Paul. Thongchue Khiatthong, Kla Somtrakool & Pirat Tidpard. (2013). "Hmong Needlework: Development of Interior Decoration Patterns and Products for a Creative Economy." Asian Social Science; 9(13): 196-201. This research study explores the embroidery techniques of the Hmong in Northern Thailand. The researchers investigate the possibility of creating a larger variety of products associated with Hmong embroidery techniques for use in interior housing decoration, such as curtains, pillow-cases and place-mats. Implications for Culturally Competent Social Work Practice." Journal of Ethnic And Cultural Diversity in Social Work, 22:2, 162-177. This exploratory research study assesses how the 1.5 generation of Hmong in higher education make meaning of the trauma of the Secret War in Laos as a part of their identity and current lives in the United States. Bic Ngo. (2013). "Culture Consciousness Among Hmong Immigrant Leaders: Beyond the Dichotomy of Cultural Essentialism and Cultural Hybridity." American Educational Research Journal 50 (Published online). This article explores the culture consciousness of Hmong immigrant community leaders as they work to improve the educational experiences of Hmong American children and families. Faith Nibbs. (2013). "Kinship at the intersection of lineage and linguistics: a study of Hmong relatedness in Western contexts." Language and Intercultural Communication 13(4): 371-385. This comparative study focuses on the Hmong who came as refugees to Texas and Gammertingen, Germany, examining the ways connections and disconnections of relatedness have come to be understood not only in terms of blood and clan, but also in terms of dialect. Toshiyuki Sakuragi and Judith W. Fuller. (2013). "Shape and Function in Hmong Classifier Choices." Journal of Psycholinguistic Research, 42:349–361. This linguistics study explores classifiers in the Hmong language. A particular focus of the author is on gaining insights into the underlying cognitive process of categorization involved with classifier usage in Hmong. Information for Hmong Women and Men." Women & Health, 53:5, 468-478. This qualitative study examines sources of information about breast and cervical cancer, including screening, and identifies barriers to seeking such information for Hmong women and men residing in Oregon. 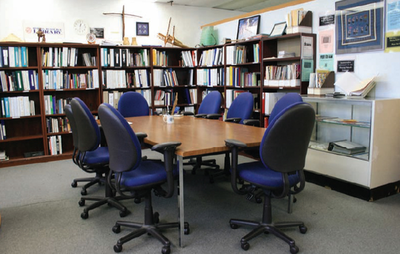 In November 2013, Hmong Cultural Center’s Hmong Resource Center Library was awarded a 3 year grant from the Henry Luce Foundation to support collection development, cataloging and digital initiatives of the library, a unique and established institution with a strong track record of promoting knowledge and accessibility to Hmong-related research and resources both at the Hmong Cultural Center’s offices in the Little Mekong neighborhood in Saint Paul and through a virtual collection accessible at www.hmonglibrary.org Founded in 1999, Hmong Cultural Center’s Hmong Resource Center Library is the largest centralized collection of Hmong-related books, dissertations, theses and journal articles in the United States. 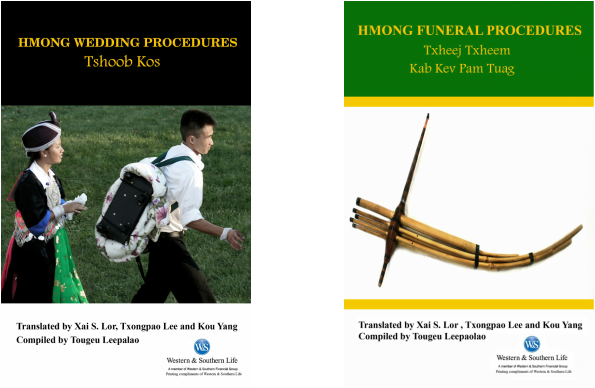 The collections include the following holdings: 570 Hmong related books, 275 Hmong-related theses and dissertations, 800 Hmong-related academic journal articles, over 3,800 Hmong-related newspaper articles and 311 videos as well as 52 CDs and 32 DVDs. The Resource Center Library is open to the public Monday through Friday and by appointment on weekends. The Library’s website at www.hmonglibrary.org includes full catalog listings of all of the institution’s holdings. The website also includes the unique Hmong Studies Virtual Library, a comprehensive and quickly growing centralized webpage initiated in 2012 currently providing links to more than 300 full-text books, journal articles, theses/dissertations and reports available on the internet related to the Hmong. 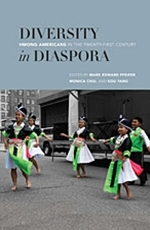 Dr. Mark E. Pfeifer and Dr. Yang Sao Xiong will present papers from the recently published Diversity in Diaspora scholarly compilation on Hmong Americans from the University of Hawaii Press. This program is sponsored by the Asian American Studies program at UW-Madison. Diversity in Diaspora: Hmong Americans in the Twenty-First Century, a scholarly compilation, was published by the University of Hawaii Press at the end of February 2013. This book wrestles with Hmong Americans’ inclusion into and contributions to Asian American studies, as well as to American history and culture and refugee, immigrant, and diasporic trajectories. A demographic analysis of the Hmong American community and bibliographic essay on the research landscape of Hmong American Studies are also presented. The volume is likely the most comprehensive volume of research related to Hmong Americans to be published since the mid-1980s. This book recently received a "Highly Recommended" review in CHOICE. Read the review here. The work is already in more than 175 academic and public libraries. Check to see if your local university or public library has it yet in the WorldCat database.